LAS VEGAS, Nev. – Jan. 6, 2016 – The outdoor environment can be unforgiving on audio gear as both terrain and weather can wreak havoc on these components. 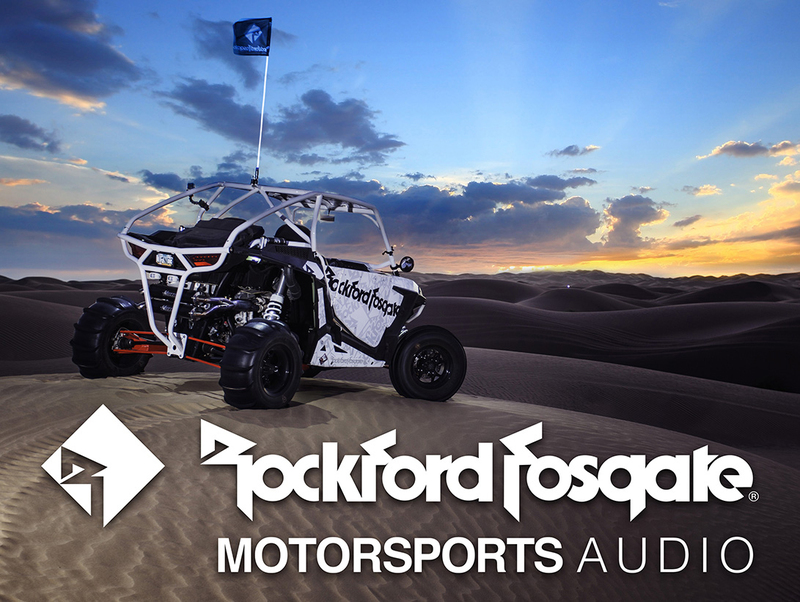 With that in mind, Rockford Fosgate (www.rockfordfosgate.com), the industry leader in high-performance audio systems, is proud to announce that it will launch a new line of motorsports audio solutions specific to select 2014-2016 Polaris® RZR® models during its annual Product Showcase, held at The Hard Rock Hotel & Casino (Artist Ballroom) in Las Vegas, Nev. from Jan. 6-8, 2016. From as low as $349.99 for a RZR-Stage1 stereo kit up to a modest $2,199 for a RZR-Stage4 600-watt amplified audio system including speakers and subwoofer, Rockford Fosgate has all the gear anyone could ever need. All system components carry the legendary Rockford Fosgate sound signature while meeting element-ready standards for outdoor situations, including rain, wind, dust, and UV protection.